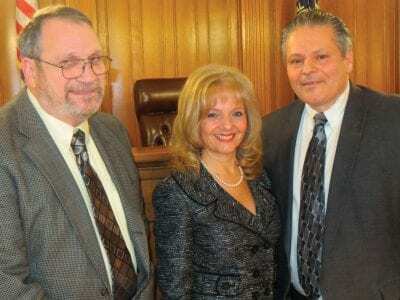 Putnam Legislature Chairman Carl Albano (right) congratulates Legislator Ginny Nacerino and Lou Tartaro on their appointments following Tuesday’s meeting. 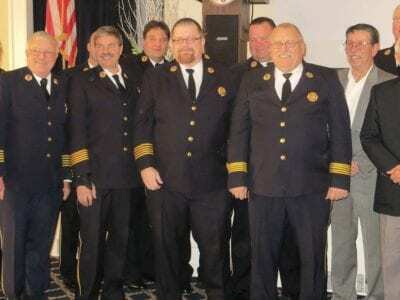 It took four votes of the Putnam Legislature Tuesday before Carl Albano was elected as ch… Please login below or purchase a subscription to the Putnam County Courier to access this content. State Senator Greg Ball is still playing a potential run for county executive in 2014 close to his vest but in a brief interview on New Year’s Eve following the county’s official swearing-in ceremony his intentions became a bit more clear. Ball admi… Please login below or purchase a subscription to the Putnam County Courier to access this content. Maintenance staff vehicles are parked outside the Putnam Courthouse on Wednesday morning in spaces normally reserved for judicial employees. 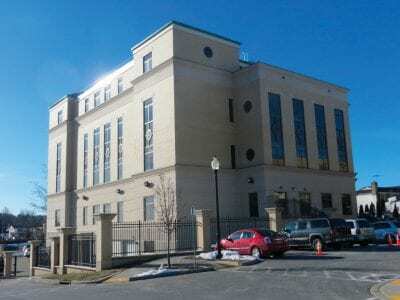 This week’s blast of arctic cold wreaked havoc at Putnam County Courthouse when pipes burst, flooding t… Please login below or purchase a subscription to the Putnam County Courier to access this content. 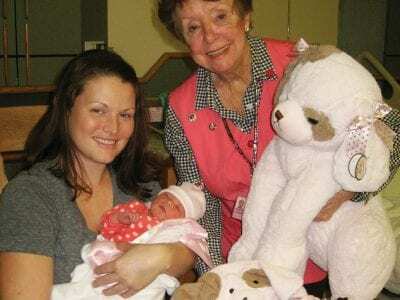 Kristen Amato cradles her bundle of joy at Putnam Hospital Center as PHC Auxiliary co-president Ginger Wintle presents a gift basket to the new mom from Cold Spring. Congratulations Kristen and Jeffrey Amato of Cold Spring and welcome Alivia Grace. T… Please login below or purchase a subscription to the Putnam County Courier to access this content. Influenza has been reported throughout Putnam County with 18 cases already confirmed. After conferring with NYS Health Commissioner Dr. Nirav Shah, Putnam’s Commissioner of Health Dr. Allen Beals said 45 the state’s 62 counties are repo… Please login below or purchase a subscription to the Putnam County Courier to access this content. 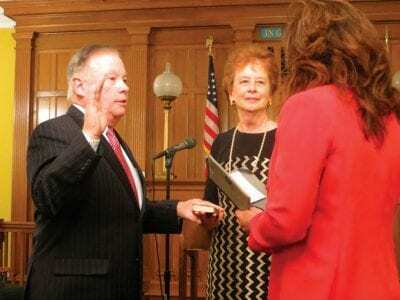 Above: Legislator Roger Gross is administered his oath while his wife, Ginger, holds the family Bible. Right: Retired County Executive Robert Bondi recalls the days when Sheriff Don Smith was his deputy. Bondi traveled from his farm upstate to admini… Please login below or purchase a subscription to the Putnam County Courier to access this content. 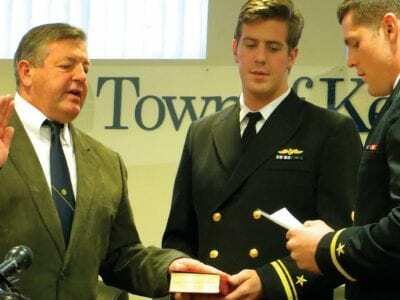 Above: Kent Highway Superintendent Richard Othmer takes his oath from his sons—Navy officers Alex, 22,who is stationed in California, and Tommy, 25, who is stationed in Texas. Right: Kent Supervisor Maureen Fleming is administered her oath of o… Please login below or purchase a subscription to the Putnam County Courier to access this content. While winter in this area can, at times, be rather brutal, every now and again she’ll throw us a little beauty to behold. South Quaker Hill Rd. 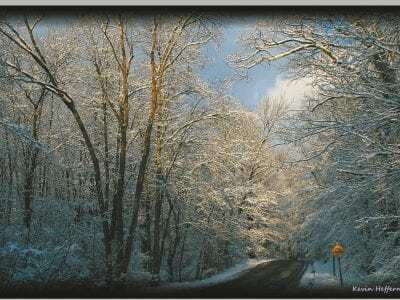 in Patterson ( on the NY/CT border) after a recent snowfall. 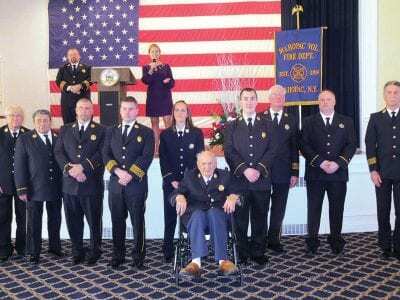 ~Kevin Heffernan … Please login below or purchase a subscription to the Putnam County Courier to access this content.